Two of possibly the most respected labels in dance music, Defected Records and Get Physical, have joined forces on a new mix album as well as a series of live events taking place in London, Ibiza and Berlin this Autumn. 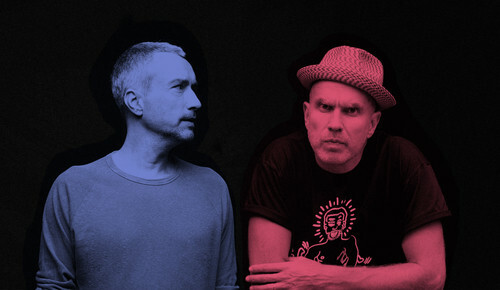 As two long-standing labels, their respective catalogues include countless records, while their parties are hugely popular. 'Defected Gets Physical Mixed by DJ T. & Luke Solomon’ sees their respective catalogues explored and exhibited, while a trio of live events in London, Berlin and Ibiza involving DJ T., Luke Solomon, M.A.N.D.Y., Paolo Rocco, Eddie Fowlkes, Juan Maclean, Jesse Rose and Simon Dunmore celebrate a collaborative mind-set synonymous with its original spirit of house music. Switching things up for a unique approach to the tried-and-tested mix format, Get Physical co-founder DJ T. compiles and mixes his side from Defected’s vaults, while Classic Music Company and Defected A&R Luke Solomon gets to grips with Get Physical’s vast collection. The records included span the histories of both labels, with tracks and remixes including artists such as Matthew Dear, Jimmy Edgar, Maya Jane Coles, Guti, Dennis Ferrer, KiNK, Osunlade, Catz 'N Dogz and many more. In addition to selecting and mixing their respective sides, both DJ T. and Luke have contributed a number of exclusive re-edits, which are included unmixed on CD3. “I loved the disco influence that DJ T. absorbed and the way that was translated into house via Get Physical, retaining the funk but adding freshness,” says Luke. “They were also pivotal in introducing a lot of artists: Lopazz, Booka Shade, Ricardo Villalobos, Luciano… and the timing for them was perfect: it grabbed my attention. 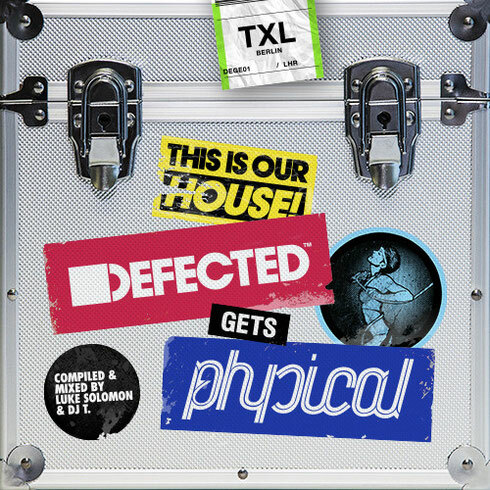 Taking the album on the road, the Defected Get Physical Tour takes place over two weekends this September, with parties at Fire, London (12th), Amnesia, Ibiza (15th) and Chalet, Berlin (19th). Defected Gets Physical Mixed by DJ T. & Luke Solomon is out 28 August 2015 (3CD and digital) on Defected Records.